Sure, the usual stuff you think of when you talk about racing safety is important-critical even. We’re talking about your helmet, seat, belt harness, head-and-neck restraint, fire suit, and even fire bottle. But none of those are the most important when it comes to keeping you in one piece in the event of a hard wreck. Not even close. If you race any amount of time, it’s not a question of if, but when you’re going to be involved in a hard wreck. You can be as careful as you like, but that still doesn’t account for the car in the other lane. So, what is the most important safety component, you ask? It’s the car itself that surrounds you. Today’s race cars are equipped with a variety of safety devices that have evolved over the years in response to accidents and crashes that have injured or killed drivers. A roll Bar or roll cage is a specially engineered and constructed frame built in the passenger compartment of a vehicle to protect its occupants from being injured in an accident, particularly in the event of a roll-over. Roll Bars are mandatory in all cars running 11.49 or quicker, or per class requirements. Roll cages are mandatory on all vehicles at 9.99 and quicker or any vehicle running 135 mph or faster (regardless of e.t. ), or per class requirements. This style of cage is good till 8.50 1/4-mile times and 179 mph. However, any full-bodied vehicle that maintains an unaltered firewall, floor, and body running between 10.00 and 10.99, a roll bar is permitted in place of a roll cage. Vehicles going quicker than 8.49 or exceeding 180 mph, must have a chassis meeting SFI spec for cages. Most recent production vehicles meet safety standards that do include certain protections for the occupant compartment – or place where the driver and passenger are. Recognizing the safety-inspired design and construction of today’s late model vehicles, the NHRA has rescinded its previous guidelines for street vehicles running 9.99 to 11.49 in the ¼ mile that required the use of a roll cage or roll bar, now permitting unaltered, 2008 and later model hard top vehicles to compete as they come from the factory without the addition of said roll bar/cage. Cars like the Nissan GT-R are capable of surpassing the 11.50-mark right off the showroom floor, and now are legal to run up to 9.99 at any NHRA/IHRA sanctioned track without a cage. 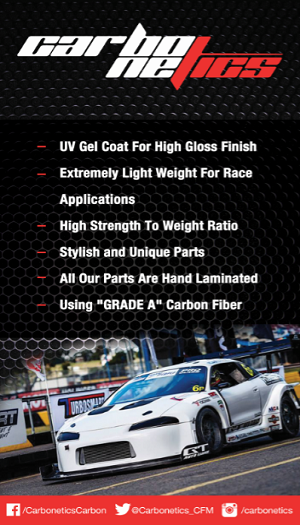 Roll bar and roll cage requirements not only apply to NHRA/IHRA sanctioned events, but also apply at every independent event taken place at any NHRA/IHRA sanctioned tracks. If you plan to race frequently, get an NHRA/IHRA rule book and read up on everything so you’ll be well versed before hitting the track. Also check out the NHRA/IHRA websites for a list of tracks near you and your local division director and tech director if you have further questions the rule book can’t answer. The goal is to stay safe and race again tomorrow.